It was nice to see all the people selling all that stuff older guns to ar parts it was a great time nice sized venue. not terrabily packed you could look and walk and when you could find a seat take a break then look some more. hope to have more information the next time i go . Was disappointed in selection, saw very few new products, and gun prices are way more cheaper online. Was told by many dealers there that items were hard to come by but were clearly available online. Sales pressure. But i did not budge. Theres always December. Oh and I did purchase the items I wanted online at cheaper prices. So as much as $90 cheaper. Being a relative novice to firearms, I found the breadth of what was on display to see and buy to be very interesting.Being able to compare gun sizes, and handle them was very positive. Lots of vintage guns available too. Mostly friendly crowd. Second event I visited - absolutely huge - wear your walking shoes. So much to look at, walked for over 3 1/2 hours and could have spent another 2 or 3 easily. Nice set up. This show is obviously the best in Pennsylvania. That said, I went Sunday around noon and was surprised how many vendors had either left or were packing up. I hope that doesn't become the pattern. Totally insufficient handicapped parking. I was told to park near the water tower, there will be a shuttle. I still had to park across the street, and there was no shuttle. The handicapped parking was a bit lacking. Face it, I was prepared to be on my feet for a few hours at the expo, the opportunity to park closer would have been appreciated. 4 10 Oct 2018 Steven Walter Owner at Vetcraft, LLC. Great show. Always room for some improvement. Great selection with plenty of vendors in a well established location. Great show, many vendors. Most merchandise was overpriced, though. The show was as expected. All vendors were helpful and friendly. Very satisfied. I enjoyed the gun show. I just wish there were more soft drink concessions. 5 07 Aug 2017 Mark Shipley Senior Apple Engineer at Zones, Inc. I wish it had been open just one more day, on Monday too. 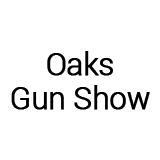 I loved the gun show, the first for my wife and four cousins. They loved it! 2 25 Mar 2019 Bud Elliott Guns at Phila pa.
George Washington Wood Bed & Br..
DoubleTree Suites by Hilton Phi..
Residence Inn by Marriott Phila..